In March 2017, there were changes in Google’s algorithm that greatly affected PBNs as a ranking strategy. When I was running Diggity Links (now Rank Club), we would test every single domain before adding it to our network. If a domain’s link caused a positive ranking increase when linking to a test domain, it was added to the network. Otherwise it went in the trash. Then, all of a sudden, PBN test success rates dropped down to disturbing levels. Depending on the type of domain (expired vs backorder/dropcatch vs auction) pass rates got as low as 20% while, at the same time, as many as 50% of domains were toxic. Yes, they would actually hurt whatever they linked to. It was quite shocking but an interesting problem to solve, nonetheless. What had Google changed? And how could we turn this around in our favor? My R&D director Rob Rok (also now at Rank Club) and I sat down and designed 11 test experiments involving over 300 PBNs. You’re about to learn the exact filters and factors we found that increased the pass rate and power of our PBNs. 3.6 Theory #7: Phone Verified Google Accounts (PVA) Might Increase Pass Rate for PBNs. 3.10 Theory #11: The Whole Boat: What Happens when we Combine all Winning Theories Together? Our test methodology is very straight forward. It all boils down to the testcases we select which will be the target URLs which we’re going to send our test links to. A good example would be a URL ranking for “garth brooks tickets nashville 2015”. Optimization: If you over-optimize with the wrong anchor text, then you won’t get a good result whether or not the PBN is good or bad. External Variables: If the target URL is getting links from elsewhere, how do you know if it was your domain that caused a shift in rankings? All that remains to be tested is: is the domain toxic or not? You can read more about our testing plan here. I mentioned before that PBN pass rates suddenly were terrible. Depending on the domain type, there would be different pass rates, flat and toxic rates. But the impact was written on the wall. The current way we were doing things was inefficient. Auction domains (which had the best pass rates) didn’t even have a 50% chance of being an asset. It was time to hit the lab. Now that we had the baseline numbers (our control group), we needed to test various theories and see if we could beat those numbers. In 2016, I discovered that expired domains can be toxic if linked out from too early. Does this also apply to backorder and auction domains? Test 20 backorder domains and 20 auction domains by linking out from them immediately. Then wait 35 days and repeat. Look for a difference in pass rates between the two test times. This situation resembles similar behavior I saw with expired domains where it seems as if some filter is being applied to links created too soon. Auction domains benefitted more often from waiting-before-linking as compared to backorder domains. This suggests that there’s more going on with backorder domains. We’ll visit this again later. Simply waiting before linking was not a cure-all. There were still plenty of toxic and neutral domains in both categories. Domains can still pass without waiting. It doesn’t seem to be a requirement to wait, but the trend shows that it helps improve pass rates. We didn’t solve this whole PBN problem in one fell swoop, but we got some guidance. Nonetheless, we decided to change our processes to wait before linking out from auction domains because it increases the chance of success. When a domain has expired, goes to backorder, or auction, then perhaps Google resets the backlink profile and thus it’s link juice. Test 10 domains of each type of domain. If any pass, then Google has not put a blanket “reset” all backlinks on the domain type. Note: A requirement of the expired domains for this test was that they were unused for over a year. Some domains passed (with similar rates to the baseline). Honestly, I didn’t think this theory was going to be true at all, but you gotta cover all the bases when testing. Just like over-commercialization of money sites might affect their ability to rank, over-commercialization of PBNs might affect their ability to pass positive link juice. Perhaps we should remove the monetization? Actually this test is completely unneeded. Our monetization is purely cosmetic. There’s no actual affiliate cookies being transferred on clicks. What the Googlebot sees is likely just images. Perhaps this is “a thing”, but we didn’t have any testcases to test it. The concept makes a lot of logical and conceptual sense. If a PBN has organic traffic, that means it ranks, which means Google likes it, which means it can be used as a link. We would gather all 158 PBNs that had passed in our experiments. We would throw them into SEMRush, Ahrefs, and Similar Web to see if they’re ranking for anything and thus pulling traffic. Any sites with over 100 visitors per month we would label as “having traffic”. Less than 100 visitors per month would be labeled as “no traffic”. Despite popular opinion, a PBN doesn’t require traffic in order to be a positive link asset. On one hand, I literally wrote the book last year on the benefits of getting links from ranking PBNs. But I never felt like it was a “must have”. Rather it is a “nice to have”. And this Ahrefs study showing that “91% of the internet has no traffic” provides more qualitative support for these results. Does only 9% of the internet qualify as a link source? Jason Duke, a member of my testing group, had been brainstorming with us. Jason mentioned that he had personally experienced success from keeping content consistent from one site to the other by leveraging Wayback installations. At Diggity Links, since we were doing complete WordPress rebuilds, this wasn’t an option for us. Take 20 PBNs from each category. We would look up the domains from archive.org to pull homepage content from the old domain which would become the first post on the new WordPress PBN version. We named this process “Duking” the PBNs. We would then test these domains to see if they improved from the baseline. Expired domains and auctions domains had a significant benefit from Duking. The benefit on backorder domains was negligible. We’ll explore why later. But as a whole, keeping content continuous seems to be a simple and cheap way to significantly increase pass rates on expired and auction domains. That said, there are legal implications of copying people’s content, even on an expired site that you now own. Theory #7: Phone Verified Google Accounts (PVA) Might Increase Pass Rate for PBNs. Most “real” websites are connected to GSC, Analytics, Google+ or some other kind of Google property. Perhaps it’s a trust factor when it comes to links. Purchase 60 PVA Google accounts and connect them to 60 PBNs (20 of each category). Observe the improvement (or lack of) from the baseline result. The addition of the PVA accounts made negligible difference to the result. You could even argue that the results got a tad bit worse, but I’m going to chalk that up to only having 60 PBNs in the experimental group. My favorite prodigy SEO, Yashar Ghaffarloo, came up with this one in our testing group. The theory is that most “normal” people would never buy domains on dropcatchers like Xz, Pheenix, Dropcatch, etc. Perhaps Google just made a simple filter, potentially penalizing some or all links created from certain registrars. Buy 30 dropcatch’d PBNs from various backorder services. Group A (10 PBNs) – Moved registrars to Godaddy and linked from after 3 days. These are some pretty compelling results. By simply moving these domains to another registrar, you’re able to take a normally toxic domain and significantly increase its chances of passing. Strangely enough, the best result is when you link from the backorder PBN very soon after the registrar transfer, but again, this is probably run-of-the-mill experimental variance. Anyhow, here’s another win to add to the list. Let’s say we have a super promiscuous domain that was first registered in 2008, but had been passed around between 20 who.is owners, hosts, and registrars. Would this perform worse than a domain from 2015 that has had one single owner before it got to you? Look at all 158 PBNs that had “passed” so far in our experiments. Chart a histogram of # of owners, host changes, name server changes, etc vs # of how many domains passed. From here we’ll be able to see if there’s a trend. At first glance, you can immediately see that there is a higher chance of a PBN passing a test if that PBN has changed owners/hosts/nameservers/etc less times. But what really makes this data more compelling is that typically you’re not able to find that many domains with only a few owner changes. Most domains that you encounter will have at least 10 changes. Domains with less of an ownership change history have a higher chance of passing. Add another win for the list. Jason Duke gave us another bright idea. What if we were to trick Google into thinking that the nameservers didn’t change since the last ownership, and thus the owner didn’t change. Typical nameserver setups allow you to place 4 different entries for the nameservers. What if we were to set them up where the old two nameservers were the two on top, while the actual two nameservers for our hosts were the two on bottom. The domains would render correctly since the first two would fail and the system would default to the bottom two. And hopefully, if Google is naive enough and/or they actually look at nameservers as an indication of ownership change, this might be enough to trick the filter. We tested this on 20 backorder domains and see if it helped the pass rate. While the results here haven’t been totally compelling for PBNs, I have been using this trick for money sites, started from expired or aged domains with good results. Theory #11: The Whole Boat: What Happens when we Combine all Winning Theories Together? But what happens if we combine all these winning theories together. What effect does this have on expired, backorder, and auction domain pass rates? Take 20 domains from each category, apply all the winning techniques, and compare against the baseline. PBN management doesn’t just involve sourcing, building, maintaining, and renewing thousands of domains. It also involves testing to be able to stay ahead of the curve. But even with these guidelines, be prepared to have some domains that don’t give any result, or even some that produce a negative result. Although I’m in no way affiliated with Rank Club, I’d still highly recommend going with a vendor that does their own testing for you. I can’t spill the beans on what they’re up to now, but Rob (R&D Director) has shown what they’re testing and its very, very advanced. Looking at 9, did you look at the number of owners for domains that failed? Just because there is a trend for those that pass, unless you can show that it does not hold for those that failed, it is not a factor. Really interesting stuff though Matt, top work! Yeah… totally forgot to put that data in the write up. Will get to it. By reading this post I can only imagine how much effort and time goes into the PBN Testing and Management. Cheers to you buddy for doing such an in-depth research and sharing this data with all of us. Really some great information there! Thanks a lot. thx for sharing your findings first of all. I am wondering as to the whole “links without traffic are worthless” fiasco aka point #2, if you have ever tested the difference between similarly powered links (RDs, DRs etc.) with or without traffic and if there were any measurable (significant) changes. And a subquestion would be (regarding the whole traffic on pbns) does this mean that there should be traffic going from the pbn to the actual site via the anchor-link or just that the pbn gets the traffic in the first place? As for the subquestion, neither matter. Nice work and thanks for sharing it with us. I feel that you have discussed most of these factors at a different point in time (I follow your comments too :P). However, a Premium register factor is a new addition. Never thought that it will show such a success ratio. As you have sold Diggity Links, 1) what do you use for your money websites? 2) Will you prepare a new set of PBNs for your own websites? 3) Who will decide a new set of factors at RankClub? 1) I’m Rank Club’s biggest customer. 2) No. I’ll continue to outsource. 3) Rob Rok. He was the Director of R&D at Diggity Links. It would be interesting to know how many of the domains that didn’t pass had traffic. Those are some awesome case studies. What makes a registrar “toxic”? How do you classify it? Because a drop-catching service (i.e Namejet) uses a lot of different registrars for there service. Really interesting information bud. Thanks. Look at the registrars that are solely used for backorders. It’s a SEO playground, and noting more. I’ll expand on Matt’s answer. 1) Domainers: people capitalizing on valuable/catchy domains that drop. These are usually parked (landing pages with ads/for sale) or empty sites. You can see the registrars here, and see how many domains each of them has. You can take it a step further and search: “whois” “registrar name” and find specific domains on the registrar from whois scraper sites and see for yourself the (low) quality of them. These registrars each house a small number of low quality domains, and it’s easy for Google to devalue your domain based on its neighborhood. Is there a correlation between a site’s ability to pass the domainname com test and it’s ability to pass positive rankings? Only in that if it doesn’t pass the domainname com test, then it’s definitely not going to pass positive rankings. Curious about the negative impact of PBN on rankings. If your pbn article links to say 3 or 4 related authority sites and articles and then your targeted money site I would think this would negate the potential downside. Did any of your tests involve linking to multiple sites/articles within a post in addition to your targeted page? Most of these tests include in-article links to authority sites as its standard PBN practice. Another knowledge bomb! Thanks for the share, Matt! One suggestion, for Theory #9 an additional chart that had % of PBN’s that passed on the y-axis would be useful to see. Great article. And its really assuring that Pbns still work. Really enjoyed your article. tw, are you a consultant or anything with Rank Club? I do a bit of consulting work for them, time-to-time. Excellent testing Matt, really interesting post. – Higher pass rate when linking to local domains (.com to .com or .se to .se) ? Other than GoDaddy, who would you categorize as premium registrars? Theory 5 seems to be missing? Ugggh. Fail. Can’t believe you were the first to notice that. Probably the most interesting information I have found on PBNs! Amazing. I love reading CD your stuff, keep it up Matt. Thanks! Nice stuff Matt as always. #8 was most surprising. I am actually going to transfer 10 of my domains to NameCheap or something to see if they get better as a test and link after a week. Awesome case study on PBN. #9 is true as I am a lover of PBN, I know this way is really good and works. I’ve a query- what’s your best choice to pick/buy a domain for PBN? and what’s your average metrics of a PBN domain? Thanks Matt for your nice article. NB: I’ve sent a mail for some queries on CMSEO2018 via your website contact form but didn’t get reply yet. Will you please check by using my this email? Thanks anyway. Select PBN candidates based on their actual links. Make sure they’re real and they’re quality. Just me or there is no #5? Excellent post. Love the work you put into this. Related to the PVA experiment, I always try to add social media accounts to each site to add authenticity. Any thoughts on how this may affect credibility? Also, NAP and GMB associated with site? I could go on.. HTPS, Logo, Brand Name, Citations in local directories, unique images, etc. Love to know if you can test for these too. We had been adding social profiles for a long time. Didn’t need to test it again. 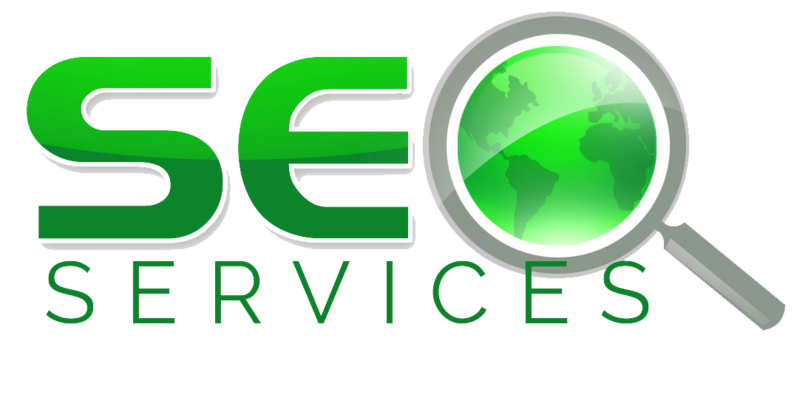 Matt, great material) Thanks for your excellent important SEO job! What do you think about 301 redirects from PBNs domains instead using classic backlinks from PBNs internal pages? Maybe you have some insights for it? When we have a more reason to use 301 redirect instead of backlinks? Is it the same technique of creating PBNs for this case or not? You’re limited to the amount of 301s you can send to a site. You’re typically not limited to the number of backlinks. I have a question though. I come across several pbns, both auction and expired that are already redirected to another site. When I check the history on the wayback machine, I notice that it was redirected to another site. What do you think about the ability of such a domain passing link juice? Have you tested them or what do you think about them? If a site has any “SEO history” I’m skeptical. But give them a try, and test first. Excellent post. I can imagine how much work and time this experiment has involved. Thank you for sharing. I have a question, Matt. Is it possible that some domains that passed the initial tests became neutral or even toxic over time? Do you check that on your established PBN on regular basis? Yes, that’s something I monitor as well. I know it’s awfully specific, but did you happen to find out if domains registered on Namecheap had identifiable metrics, good or bad as far as the registrar was concerned? Just want to get your thoughts on using multiple micro niche sites v’s PBN’s. To me, building a PBN that has only a bit of link juice is not as good as building a new micro niche site that is getting traffic and sending traffic to a money site. Is this something you could test? A no traffic pbn v’s a newish micro niche site with traffic. Send a link out to a money site and compare results, does really traffic make a difference to money site rankings? I know you touched on this a bit on #4 but does having real users coming from a lower DA site and interacting on the money site have any affect on money site rankings compared to just a higher DA link with no interaction. Great info here thanks for this post Matt. One thing I can stop doing, adding pva analytics to pbns. The drops and changes ownership could also be a false positive as I found alot of domains were actually used as pbns but wayback just never crawled and you dont know. So just through the effect of lots of owners you can see the chances of this domain being used as a pbn and listed as toxic. I feel its more of an indirect correlation. Matt what do you think about Network Solutions? It is a bad registrar for PBNs? By the way, amazing post!!! It’s a conglomerate. Pretty much encompasses everything. It’s fine. 10-30% toxic rate after all those changes is still very high I think. Did you triple check archive.org and if any spammy backlinks to those? Seems weird clean dropped domains would have negative effect, with old content in place. This also raises some concerning negative SEO thoughts… Again. Things are definitely getting harder, that’s for sure. Must say that I’m really impressed. I haven’t seen that many tests in 1 post for… I never saw tests like this. – What about PBNs from test – all the websites were preety the same when we talk about site:? – All of them were WordPress blogs, right? – You were linking to someone else websites, right? – How many domains were used as a baseline? Shared already this test. Well done! Thanks for the great study and tips! Just wondering about your process for picking a testing URL, do you look for a page that has the target keyword in the page title? Hey Matt… I commend you for all the efforts. Can you clarify for the public, unless I overlooked it. The OMG guys theory 2 years ago that the sky was falling on expired domains hurt many domain vendors (including myself) when in fact the domains that didn’t work just were low quality, had spam and were not properly inspected by buyers… mostly unsuspecting newbs. Now after this post I have potential clients quoting you (even though I don’t see it on this page lol) that drop catch are the worse most toxic domains. Clearly your post is too advanced for the new guys to get the point. Can you respond here in laymen’s terms. My take was that they all can work and they all can prove toxic but to follow the best practices and use extremely clean and well rounded domains from all angles. Also the point should be raised that in no way are there scraped domains or maybe average drop catches, that can fairly compare with an auction domain… for it to be fair you would have had to use auction domains with only 3-10 good links. Amazing efforts put into your work, Thank You!! Hi Matt thanks for the reply. To be clear, my apologies I certainly didn’t think you were unfair at all. I suppose the point I was trying to raise is that a number of readers (people have actually came to me about this) seem to be drawing the wrong conclusions in many cases. As example, perhaps if the “conclusion” image had a cost involved to achieve each conclusion, then folks that hate math could see that for the 30% better results (auction domain) it costs much more money. By looking at those numbers and they are guesstimates, it is more clear that actually there is potentially better bang ar at least as much bang for the buck. Lastly, I am sure you are teken back as well, and I personally think it warrants more testing, or perhaps more waiting, but good drop catches in my opinion simply have to outperform expired’s if we as seo’s are in agreement that better links, better archives, less drops, no signs of seo and some of the other recommendations make a difference. As a scraper for 10 years, in the current scraped domain environment, a dropcatch blows away expired’s when it comes to what we deem a quality history using primarily manual inspection in conjunction with the best tools and experience at our disposal. Thank you for your time, Much Gratitude. Yeah… I don’t track cost, because the potential of linking from a toxic domain isn’t worth any savings at all. For my clients, when I was running Diggity Links… nor my own sites. some time ago I read your post from 2016 when you first introduced the idea of PBN testing. I understood that I should test with the same keyword which I later want to use to link to my moneysite. So can I test with a non-competitive keyword as anchor and if the test is succcessful later still use a similar but harder anchor for my money site? Or does it need to be the same? It doesn’t need to be the same. With these passing rates it sounds like we still looking for the “planet 9” of PBNs. Does all this only affect domains registered after March 2017 or should we test all the PBNs we build years ago again? Cool testing, enjoyed reading this. Did you guys keep relevancy consistent? Not just topical relevance but titles\URLs and how closely they are related to linking destination. Again cool data here, always love seeing people that actually test! Hey Greg. What up, brotha. Yeah for sure. We’re testing wordpress builds most of the time, so we’ll write a targeted article for whatever we’re linking to. I love test too. And also did some tests similar to yours. Some like Theory #2, Theory #4 and Theory #6 and same as your test results. However, all tests have a premise that the passed pbn can pass for other websites. I did some testing, it doesn’t seem like this, may existing links will affect new links. There are 2 moneysites, same keyword and similar rank. PBN1 link to Moneysite1, PBN2 link to Moneysite2, wait some days, all moneysites’s rank are passed. Then I use PBN2 link to Moneysite 1, I found Moneysite1’s rank no longer rises. I think may have to wait some days? I don’t know, testing now. Want to know how to rank keywords when have pass pbns, thanks. There’s two possibilities that come to mind. 1) You’re not selecting test sites the way I am and ruling out many of the factors that will get in the way of the result. 2) You’re getting hit by random ranking factor and not waiting long enough. Want to know waiting how long time after the first one, I will test again. here is my picture, I test many like this picture and confused. I would like to share some of my results regarding the timeline. The link was found on June 15. You can see that in the google cache or by searching for the sentence which contains the link phrase. After the link was found it took 6 weeks until it showed a positive effect. The page I am linking to has no other backlinks, so I am confident that the ranking boost came from my link. I have more example like this. I did around 20 tests and for 6 of them it took more than one month after indexation to show something. So bottom line for me: If you see neutral results it might just be that you havent waited long enough yet. Are the fast link and delayed link to the same target page? If so, did you remove the fast link before placing the 35-day delayed link? 2) No, but it doesn’t matter. which requirement of PBN do u use for PBN? I am going to build some PBN for 100 sites. I would like to know if it be safe to give links to my money site from all these 100 sites? Regarding Theory #1 (waiting before linking) – do you have any insight on the long-term effects of a link that is initially toxic, but the domain shows positive effects for a second test after 35 days? In other words, whether or not an early link with toxic results remains toxic for the long haul? I recently caught a backorder domain on DropCatch.com. They make you wait 60 days before transferring over to a non-toxic registrar. I figure once this period is over I will switch it to a more legit registrar (Theory #8). But..
1) Do I have to wait another 35 days after transfer (Theory #1), or can I link right away? 2) Should I host the site in the meantime, or just not worry about hosting it until I transfer? 1) Last time I tested, you could link right away. 2) Yeah, host it and built it. Hey Matt, great case study. I’ve doubt regarding archive history. I’ve 5 expired domains with more than 100+ clean and awesome link profile, no anchor spam but wayback is showing chinese product and content. Are these domains safe to use. Translate them. See if they were used as a PBN before.